If you work as a contractor, or even if you have a project going at home, chances are that you have accidentally smashed a few lights. This usually occurs when you’re carrying something or you don’t mind your surroundings. Needless to say, it is an unnecessary annoyance. Thankfully for us, the RidGid Gen5X Hybrid Upright Area Light is the solution to that problem. The RidGid features a unique self-righting base design. This ensures that the light will simply pick itself up when it gets knocked over, or it will simply wobble. The unique self-righting base design ensures that your light will never get knocked over. It is also a hybrid between battery and corded. This gives you ultimate freedom to work in any environment with zero hassles. 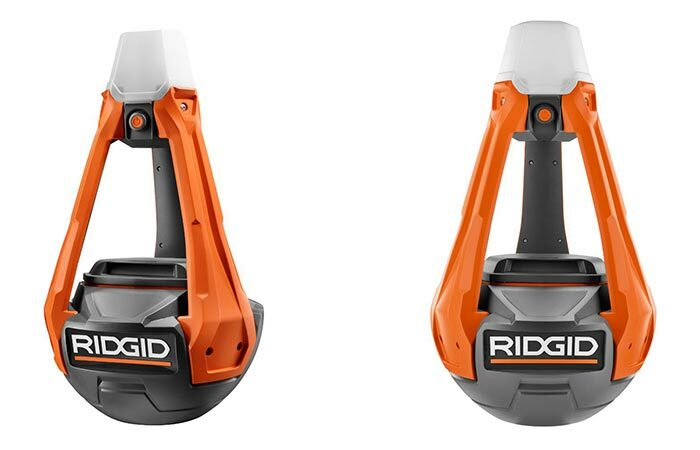 It uses any RidGid Lithium-ion 18-Volt battery that is rated at 5Ah (battery sold separately). 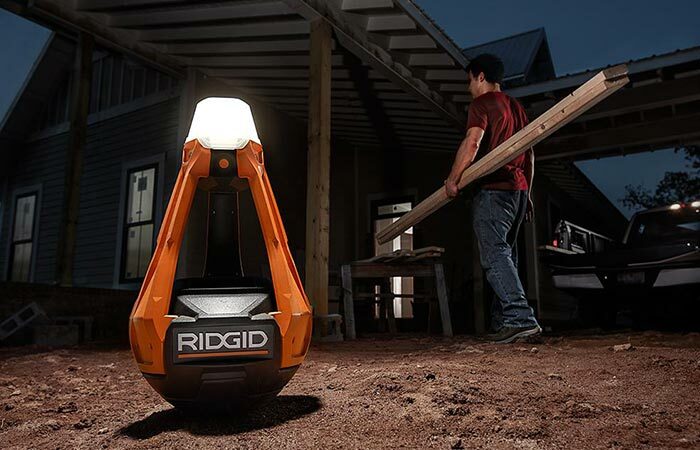 Essentially, on its lowest setting, the RidGid can give you up to 75 hours of continuous lighting. It also comes with a cord for when you don’t need the battery, combined with something like the DeWalt Power Station, it gives you even more freedom. Check out the video below. It also features a 360-degree light dispersion radius at 1000 lumens. This allows you to illuminate your entire workspace. Furthermore, the RidGid is superbly bright with a maximum rating of 1000 lumens. This is bright enough to light up any work area, even in the darkest of nights. Of course, the brightness is variable to suit your needs. Its unique design also ensures that it has a 360-degree light dispersion radius to illuminate the entire area. 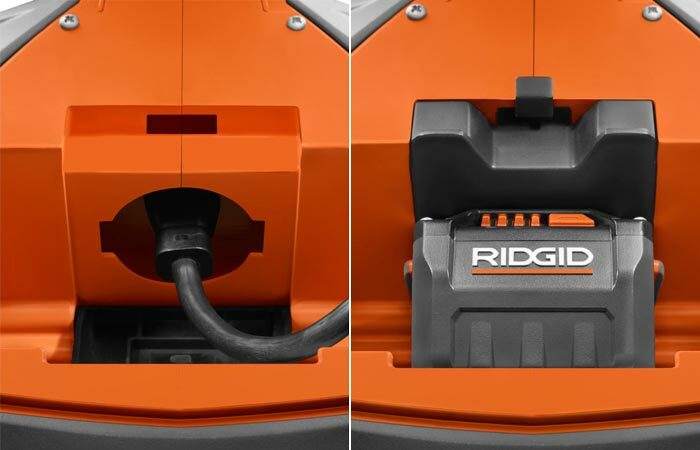 The RidGid can also work with both a cord and an 18-Volt battery pack.